Rgd. No. E-3899, Surat, Gujrat, India. 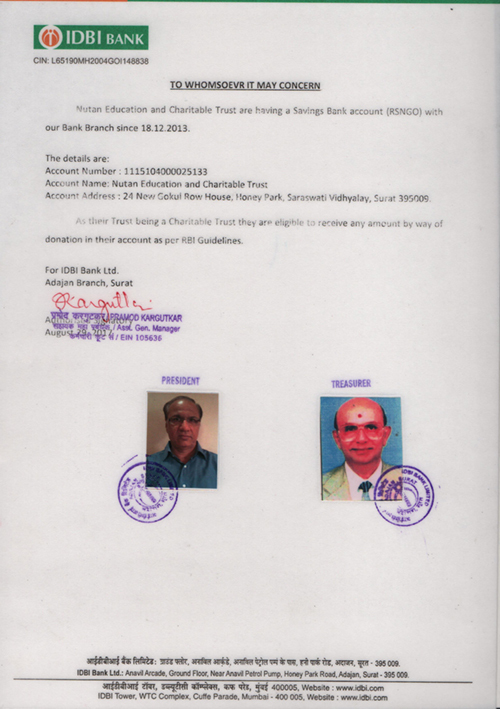 Donate for these funds simultaneously. 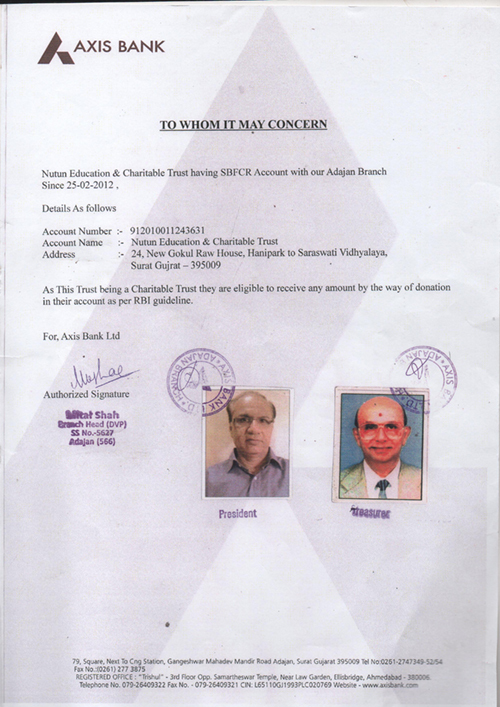 Your donation to Nutan Education & Charitable Trust through e-Donation Procedure on this site is safe and secured. The e- Donation is through your Credit Card, Debit Card or Net Banking. 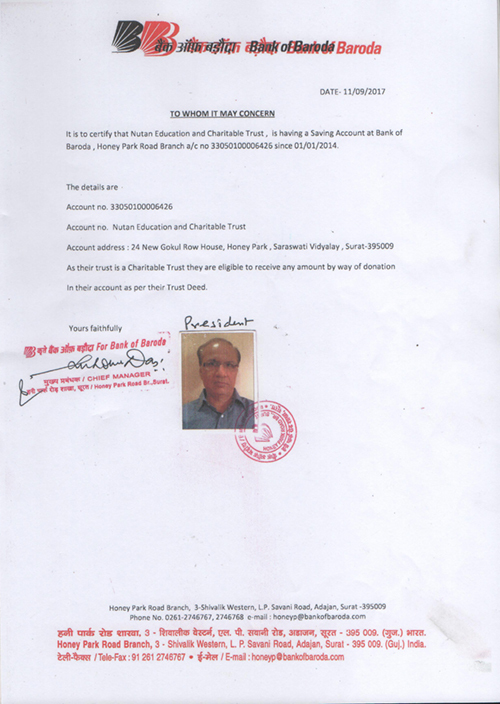 I agree to the Terms of Services laid down by Nutan Education & Charitable Trust.